Eero tips in that the E6-00 is also available at Nokia Germany for pre-order. Price? A somewhat ridiculous 429 EUROS. Well it normally is more expensive from Nokia direct, especially on preorder. 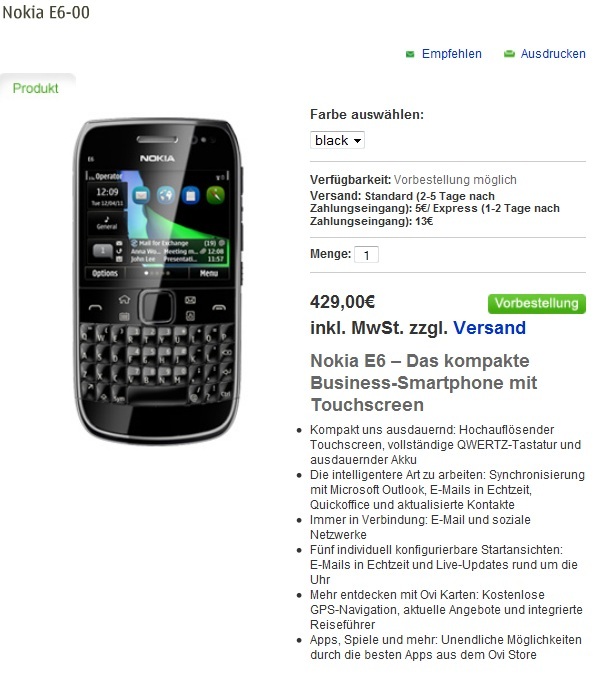 Having said that, the Nokia N8 was on preorder for 459-479 EUR. Exactly what is being asked for the Nokia X7. Aha. Yup. You pay all that much extra for a E7 without a keyboard. 9 months later after N8 appeared on pre-order. « What services does Nokia really offer and how they compare to their rivals.